It's pretty late right now but I couldn't sleep so I thought I'd make a new thread. Before I start getting into the meat of the topic I want to say thank you to all of you guys for being an awesome crowd of people. This community is what keeps the Shapeoko spirit going and I just love seeing new ideas born here. Thank you guys for coming to me for all of your questions and I hope my previous thread has been of help and inspiration to you all. On my spare time I've been designing (and still designing) a new CNC machine that will meet my needs in a business environment. My current machine is great and has outperformed my expectations for the class of machine that it falls under. While it's great for making prototype parts and very limited and small production runs for my business, it's just not fast and powerful enough to do the scale of production runs that I need it to do. 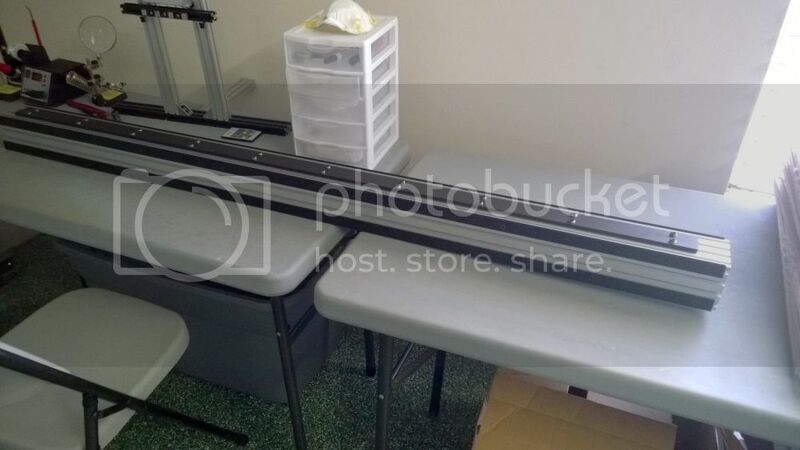 (I mainly work with acrylic, aluminum, and sometimes steel) That's where project Shapeoko HD (Heavy Duty) comes in. 1. 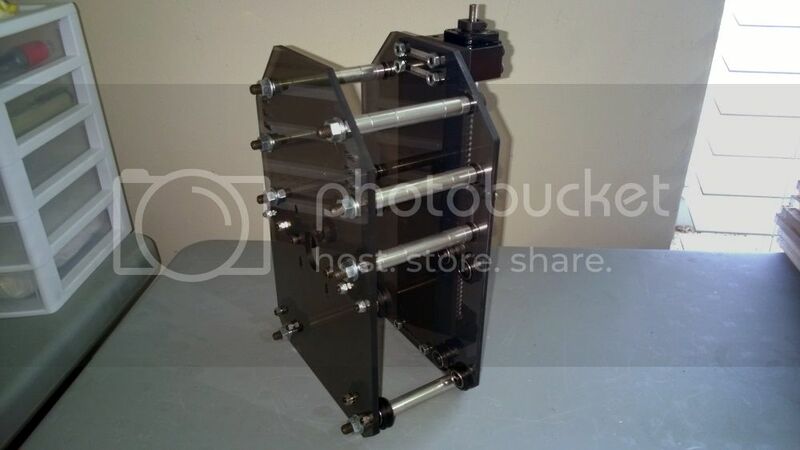 To be rigid enough to handle up to a 3kw (4hp) spindle. 2. 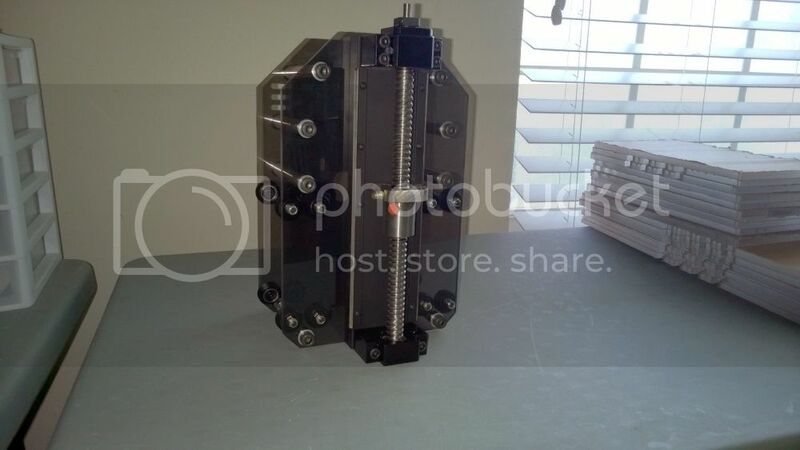 To accommodate Nema 23/24 stepper motors in the 380-425oz range. 3. 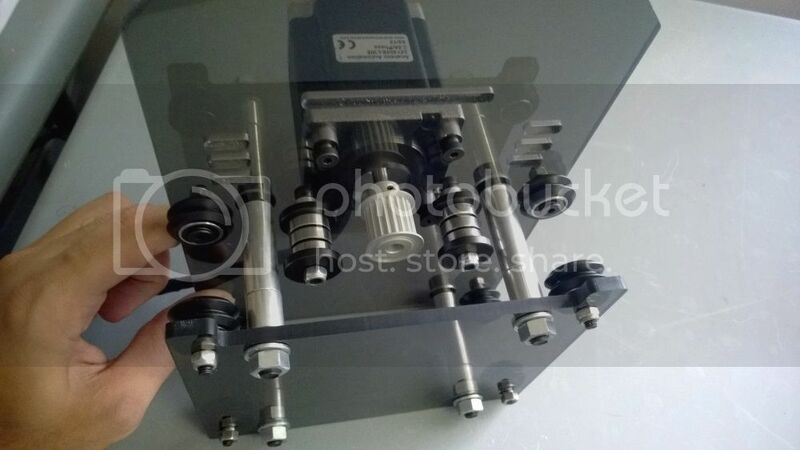 To increase clearance from the top of the table to the bottom of the x-axis carriage to 5 inches. 4. To increase usable Z-travel to at least 5 inches. 5. To keep the same 4x2 foot work area of my current machine. 6. To keep the Shapeoko spirit alive in the new machine. One of the first things that I did was I sat around and I just stared at my current machine for a while. I examined it and really just tore it apart (figuratively). I really wanted to understand why it could do the things that it could do and why it couldn't do other things. The answer may seem obvious, but when it comes to designing a new machine it's bit more complicated and intimate than you may think. That's why I really have to tip my hat to Edward Ford, he really designed a fantastic machine. Of course I can't forget to mention Catalin Voinescu (cvoinescu) and Brandon Fischer (Improbable Construct). Their work in making upgrades and mods has had a huge impact in shaping what the Shapeoko is today. For the money the Shapeoko 2 has no equal and their work has laid the foundation for me. My new machine is simply a logical progression of their designs. 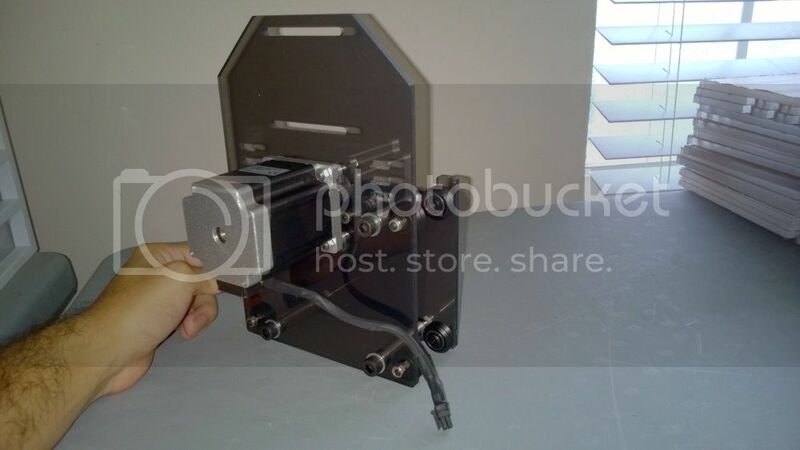 With that said, what would be my take on what could be considered a heavy duty Shapeoko? 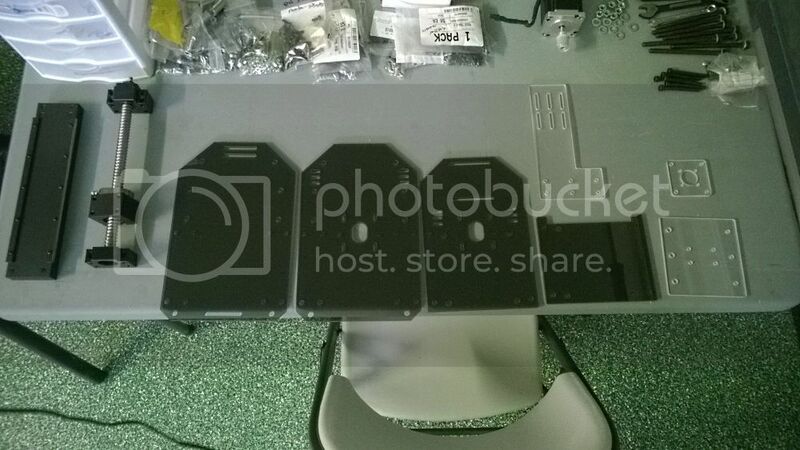 Well for starters I decided that the end plates, carriage plates, and motor mount plates would be made out of 1/4" thick 6061-T6 aluminum (though the prototype plates are made out of acrylic as seen the photos for test fitting purposes). It's a good general purpose aluminum alloy with excellent corrosion resistance and good strength. It's also not as expensive as some of the other aluminum alloys. Now I did say I wanted the machine rigid enough to handle up to a 4hp spindle, and man are those heavy. They can weigh 20 pounds and the torque those things produce is insane. So, I decided I would ditch the acme screw and go with a 16mm thick ball screw. It's certainly beefy enough for the 4hp spindle, but what about the spindle mount and the aluminum extrusion that would have to deal with all that weight and torque? Well, after much thought I settled on using 1/4" thick 7075-T6 aluminum to make the spindle mount (mock up is made out of acrylic). It has double the strength of 6061-T6, but not quite as resistant to corrosion (nothing some primer and paint cant fix though) I wanted the z-axis extrusion to be small in form factor to keep the carriage plates from becoming too wide so I also opted for it to be made out of 7075-T6 aluminum as well. After it was cut to size (2.5" x .75" x ~11") I bolted steel v-rail to it and drilled out the holes to where the ball screw mounts would be secured to. The spindle mount plate is held in place with a nice flange nut that came with the ball screw. 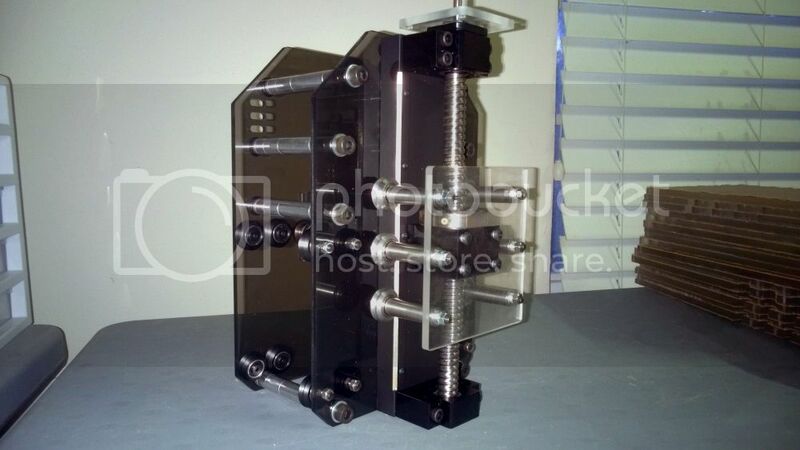 The spindle mount plate also accommodates 6 steel wheels that uses very high strength steel screws and 13mm thick stainless steel spacers to hold them in place. 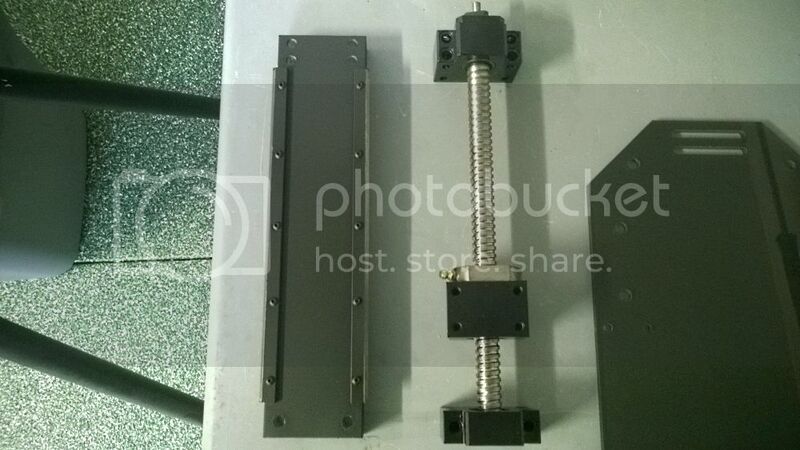 At this point the z-axis assembly is very rock solid and should be able to handle a 4hp spindle. Let's move on to what kind of aluminum extrusions I'm going to be using for the X and Y axis to support all this weight. My original idea was to use an 8 series GFS 90x90 extrusion for the gantry and two 45x90 extrusions for the y-axis. I wanted to use steel v-rail on those and put steel wheels on the motor mount and carriage plates..... Well, as it turns out that's just too darn expensive. Why spend $400 on steel rail when I can spend $80 on Openrail? 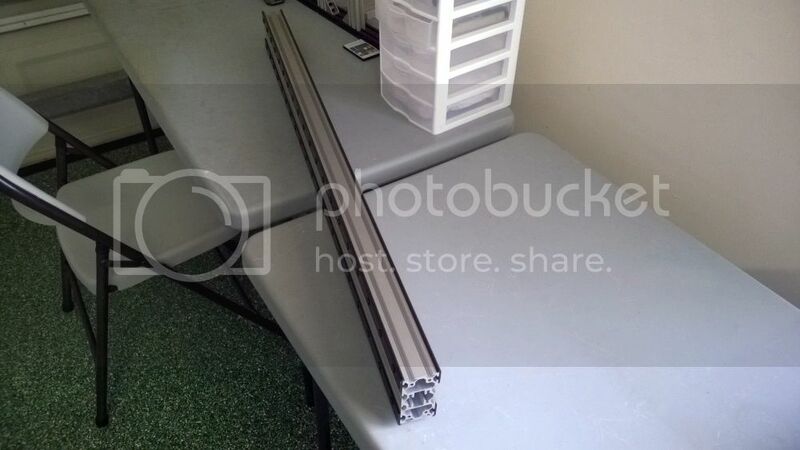 Why spend $230 on a single 8 series 90x90 extrusion when I can buy two 5 series 4080 extrusions, sister them together, bolt some .25" thick cold roll steel flat bars to the top and bottom all the while being about $90 cheaper? So that's what I did. According to some calculations the maximum deflection that the gantry could experience with the loads I intend for it to encounter should be less than .001". Considering the average thickness of a human hair is .004" I'm pretty satisfied with the gantry's rigidity. Now of course if I wasn't so adamant in keeping my 4x2 form factor for my working area I could have opted to go with the more rigid 2x4 form factor and not have to even deal with sisterering two steel flat bars to the gantry, but I just really like the ease of loading in material that the 4x2 provides. Now, since I'm using Openrail that throws steels wheels out the window. Delrin wheels might not be up to the task. That is until I realized that the ones sold at Openbuilds are a bit stronger than the ones sold at Inventables. I don't remember how much stronger they are, but just by comparing the two side by side I'd have to say by at least 30%. That may not sound like too much but it adds up when you have many wheels sharing the load. Now speaking of many wheels, I did double up the wheels per axis. So now the x-axis uses 16 wheels, and the y-axis also uses a total of 16 wheels (8 on each side). This should be enough to handle all that weight that I was worried about earlier. The y-axis motor mount plate is kind of special, it uses a smaller secondary plate to accommodate the extra wheels. This design keeps the y-axis super duper uber rigid ( ) and balances the load a little better by not having so much weight on any particular v-rail. The secondary y-axis plates can in theory even double as debris guards to keep the wheels a little cleaner while working, though admittedly it probably wouldn't work all that well since it wasn't designed for that in mind, but eh, it's better than nothing. 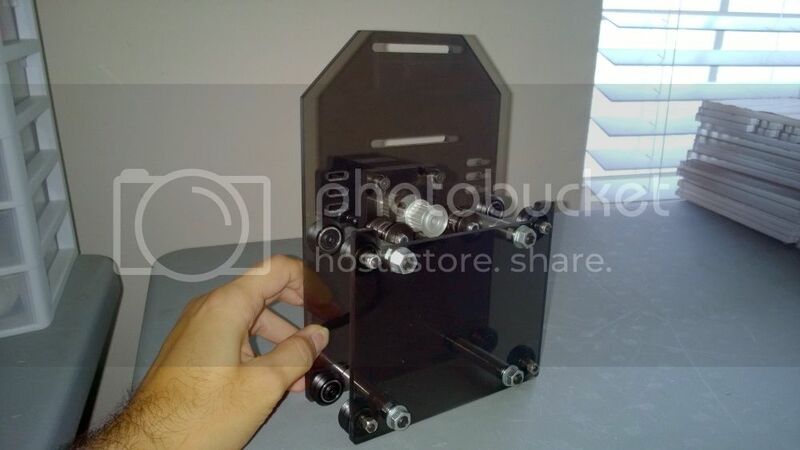 The motor/carriage plates are held together using M8 socket head cap screws with 12.7mm thick aluminum spacers. These are much stronger than the M5 screws and spacers used on the stock Shapeoko 2. Now one of my other goals is to accommodate Nema 23/24 stepper motors in the 380-425oz range, but using the stock GT2 belting is just asking for trouble. It's just too much torque for the little belt to handle to have proper engagement with the pulley 100% of the time, not to mention it'll probably just snap after a month. So, I decided using 15mm GT2 belting with 3mm pitch would be much better suited for the task. Finding a pulley that would handle a 15mm GT2 belt with 1/4" bore wasn't too hard to find, but the idler pulleys? Forget it, I had to make my own out of bearings and washers. They turned out pretty nice for being makeshift idler pulleys, but I do wish solid plastic ones were more readily available like they are for 5-6mm GT2 belting. I'm still in the R&D phase of my build so while the overall design is solid I'll probably end up doing some tweaks here and there to get everything "just right". I expect to have a fully functioning machine by mid to late next month and I'll definitely be updating this thread from now until then. I also expect that this machine may have comparable performance in some areas to a Pro line CNC machine from CNC Router Parts without the hefty price. The end result might be a machine that isn't quite as good as their machines but it will certainly have a better bang for the buck. If you guys have any questions or feedback please let me know. Have you looked at the Openbuild polycarbonate wheels: "solid v-extreme-wheels"? I saw them a few days a go, but haven't heard of anyone using them here yet. Might be worth to check them out. Edit: Ah, just saw that they are solid, and has no v to mate with makerslide. Bummer. Might be worth knowing about still though, if you use v-slot rails in the future. Last edited by Auarhau on Sat Jul 19, 2014 11:25 am, edited 1 time in total. 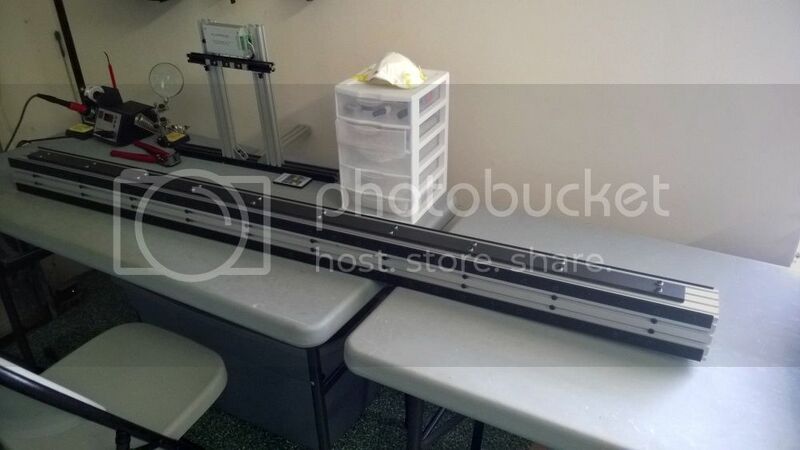 ShapeOko 2. Nema 17 74 oz·in. GAUPS shield on Arduino Uno. DRV8825 Drivers x4 . Kress 1050 FME-1. Z Acme Screw. 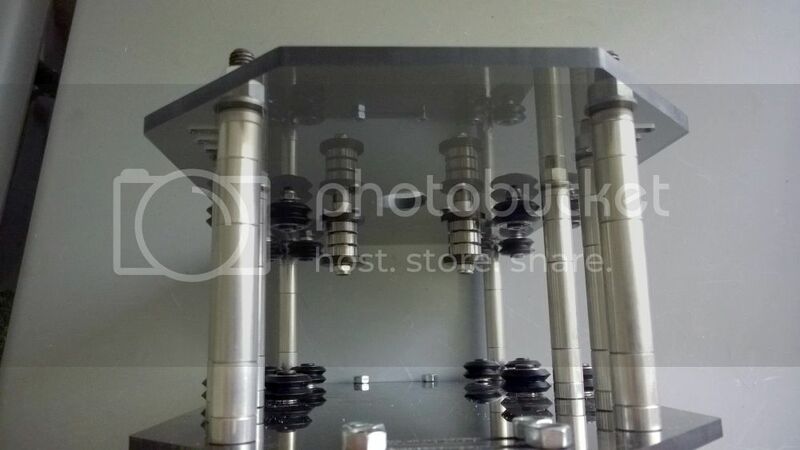 Threaded inserts table. For the idlers why not print them? Bummer that the wheels don't have Vs is unfortunate. I asked Mark carew about making the double v wheels out of polycarbonate available. akhlut wrote: I asked Mark carew about making the double v wheels out of polycarbonate available. Excellent! Their being available will probably spur me to make that small threaded rod machine I've been wanting. Hey guys, thanks for the posts! I wish I had access to a 3D printer, I would have probably printed some idlers out. If anyone is up to printing some for me please send me a PM. I would love to try polycarbonate double v-wheels, I hope those get made. I think I'm going to be spending some time this weekend to think about how I'm going to secure the 15mm GT2 belting. 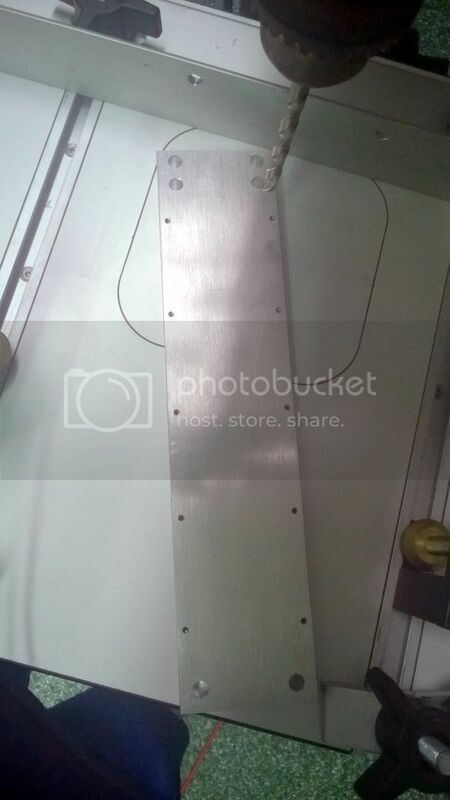 Maybe try to make larger belt clips or create a spot on the endplates? That is a bummer on the Openbuilds PolyCarbonate V-wheel. I was getting excited that I could upgrade all of my axis with a much stiffer v-wheel!! Aluminum riding on aluminum isn't great (I think the PC option is much better), but it might be OK if you don't mind replacing rails occasionally. I have seen a few posts indicating that aluminum wheels on an aluminum rail are problematic. Can someone expand on the problems and even guess on the numbers of hours before the rail or wheel would need to be replaced. I would also be interested in polycarbonate double V wheels for my SO 2 rebuild and upgrade. Does anyone have any information on the pros and cons of polycarbonate and how it compares to delrin? My preliminary findings show that polycarbonate and delrin are comparable in many aspects, and in fact delrin can actually have higher tensile strength, flexural strength, and stiffness depending on who manufactures it. If anyone has more information on this issue I'd be very appreciative, perhaps I missed something that shows that polycarbonate is much better than delrin when it comes to certain CNC applications. But as it stands I don't see much of an advantage using polycarbonate over delrin.